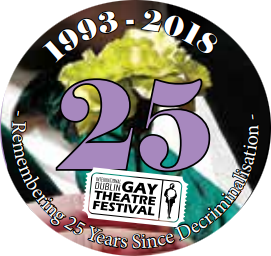 ‘Visibility Changing Lives‘ explores LGBT visibility in Ireland and abroad after 15 years of IDGTF & 25 years since decriminalisation of homosexuality in Ireland. Chaired by Seamus Dooley (NUJ) and including panellists Kieran Rose and Dr Kerric Harvey. The Festival presents our annual free seminar marking this milestone anniversary, resulting in Ireland being a more equality society and world leader for LGBT rights today.